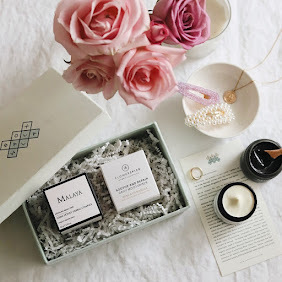 A few weeks ago I was so very fortunate to receive a beautiful parcel from a Berlin-based green beauty shop, the chic and luxurious Savue Beauty shop. As is often the case when working with beauty shops, I picked a product or two by my choice to try and test out. Like always I had a hard time choosing amongst all the gorgeous selection of brands and products. 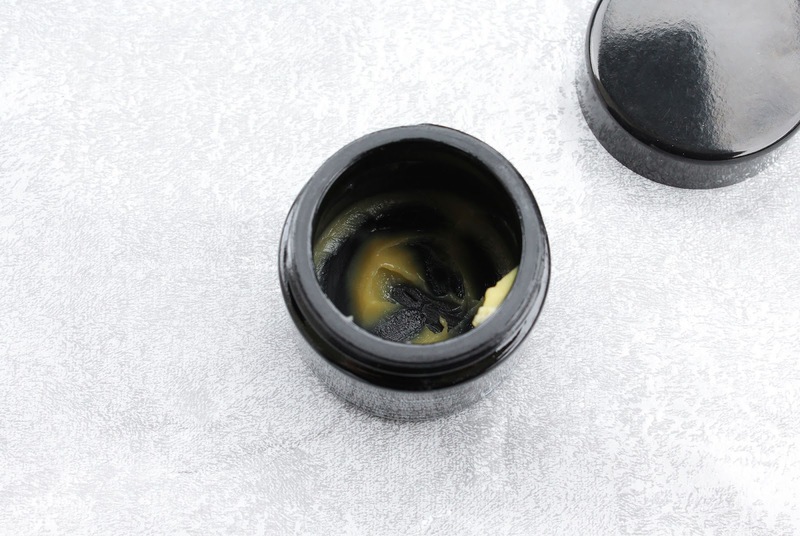 In the end I decided on the de Mamiel Resorative Cleansing Balm* (and Kester Black Nail Polish in Petra*), and I couldn't have made a better decision! Wow. 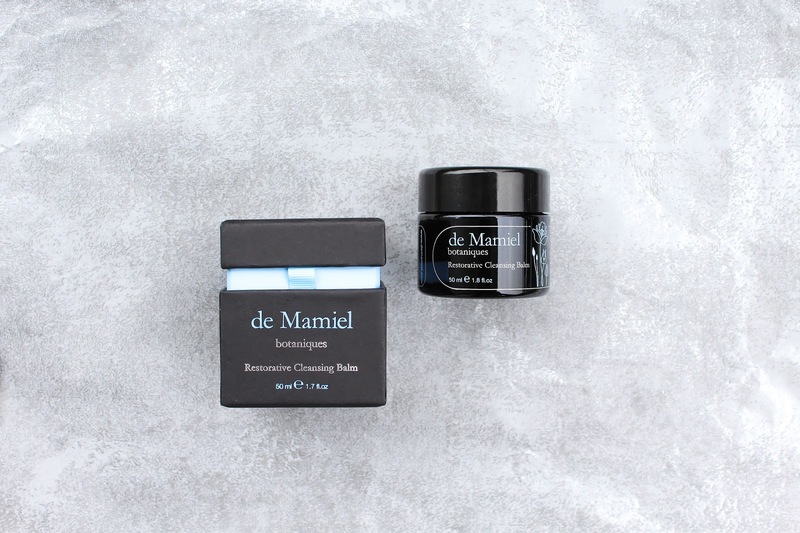 De Mamiel is a brand I wanted to try for quite some time. 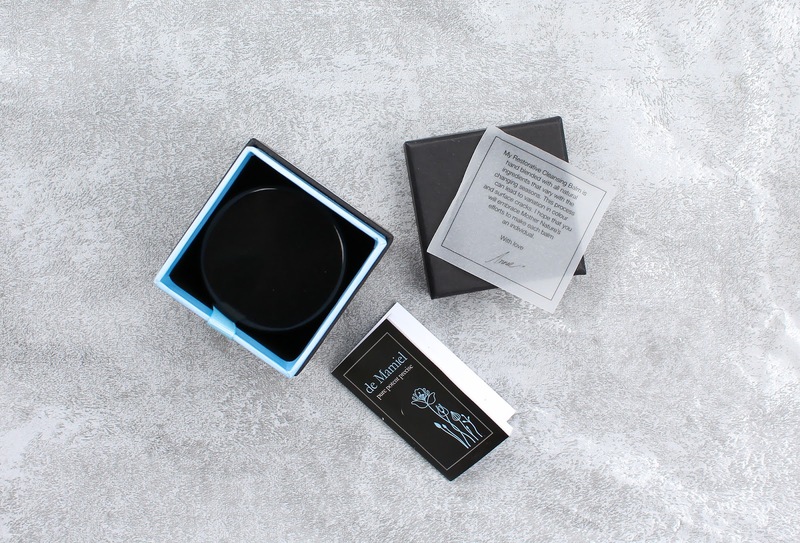 I've read a number of wonderful reviews, and I was also drawn to the very chic and gorgeous packaging. Not to mention the ingredients. All of their products look and sound stunning. 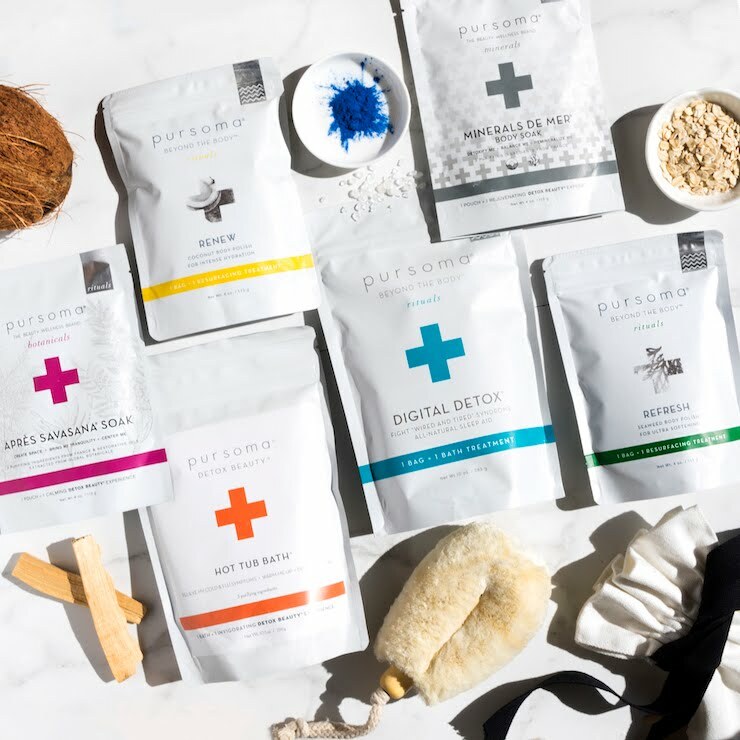 You know when I have a chance to try a new product, I always think about and try to choose products that I actually need (and sometimes want). So here comes the cleansing balm, which is besides cleansing oils, my favourite product to use at evenings to cleanse my face. I've already stated that I adore the packaging. I mean don't you just love the design of it? 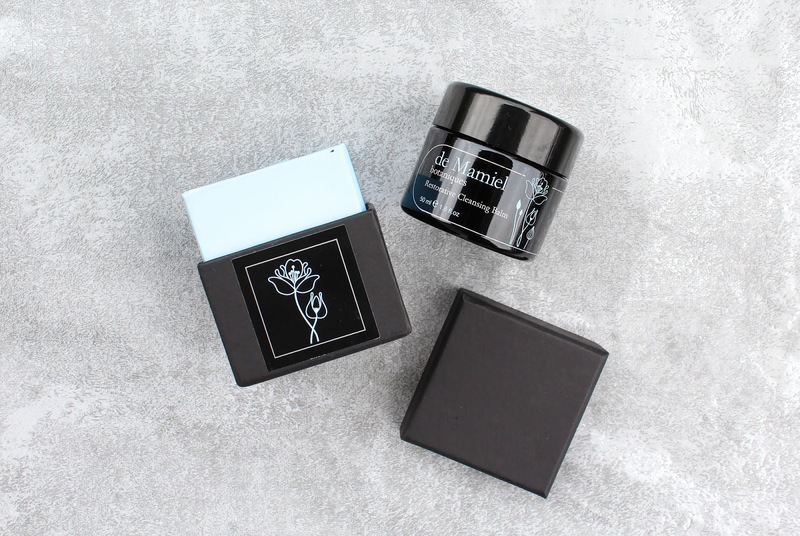 The balm is stored in a violet glass to preserve the vitality of the precious ingredients, and those cute blue flowers make me heart sing. I don't know what it is with me and this light blue colour (thinking also about the Nap). I don't actually own anything in this shade of blue, besides my newest beach addition, the light blue cover-up that my beautiful friend Nic bought for me in Thailand (bless her! ), but I guess I will have to get some things in this colour because there is clearly something going on there. 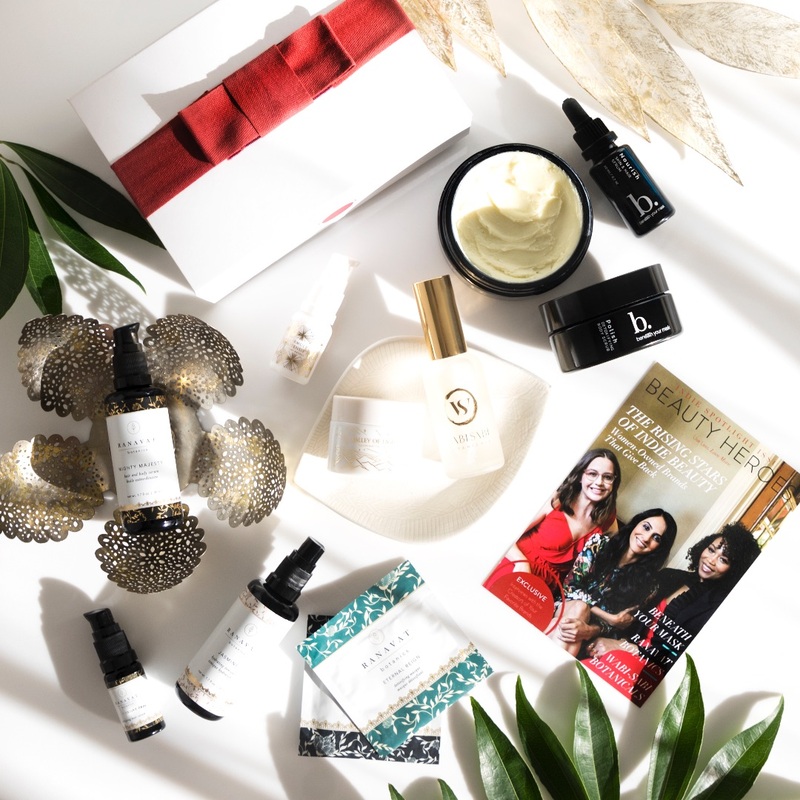 With Annee's de Mamiel saying in mind - "Everything that touches you, matters", let's take a quick look at the ingredients. Where to begin? The balm contains a whole bunch of beautiful plant butters and oils, like Camellia, Mango, Moringa, Kukui, Marula, and the list goes on. I love the addition of Calendula, Carrot and Chamomile, always a fan of those three. It also has beeswax, if you are avoiding it. 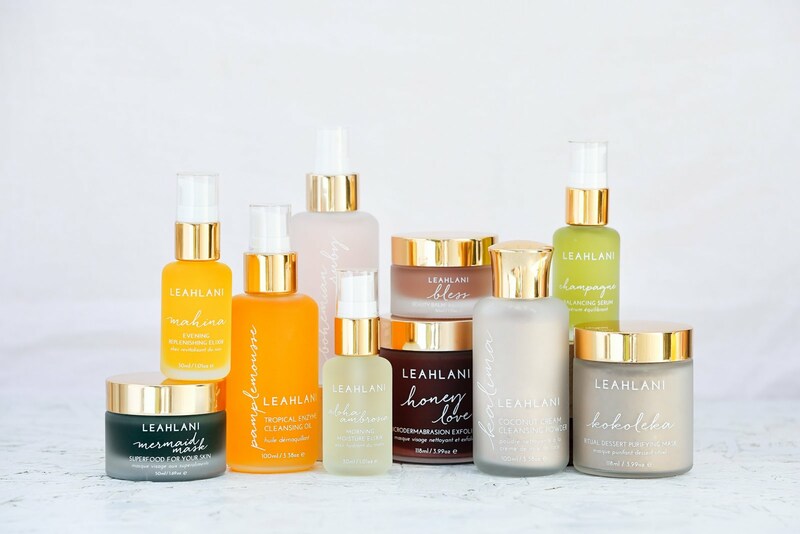 Every single ingredient brings the balm together into something truly magical. I believe that the reason why I love this product so much is also the amazing scent. I almost said that I can't explain it, but I actually can - the scent calms me and makes me feel really good. 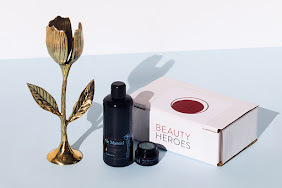 I completely agree with the description "aromatic cleanser" and "packed with spirit affirming flower essences that turns a beauty basic into a luxurious treatment". So much love. 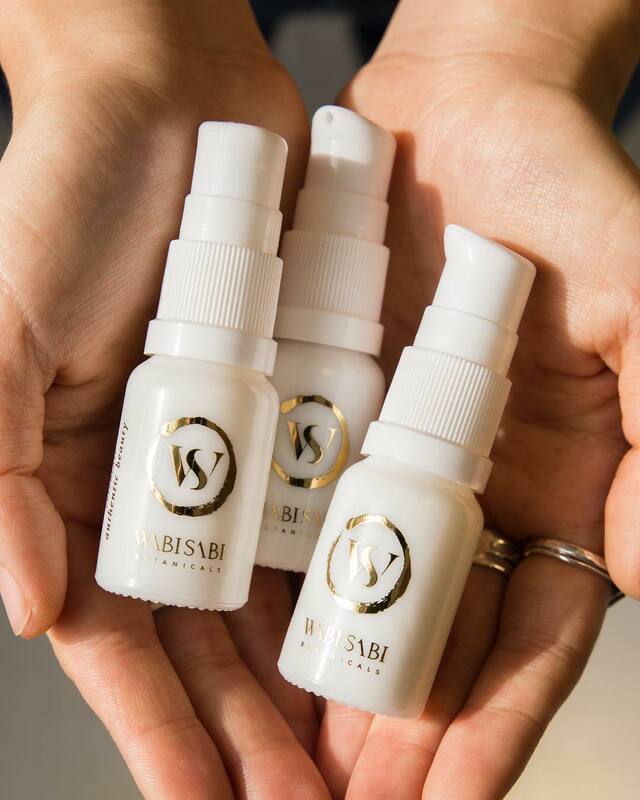 The bespoke blend of essential oils; Fragonia, Cape Chamomile, Rose Myrtle, Rose Geranium, Honey Myrtle, and Eucalyptus, release emotional baggage and ease stress and nervous tension when deeply inhaled as part of the cleansing ritual. It's funny how I thought it contains Ginger because something in it reminds me of the beloved spice. The scent is strong but I like that. It's uplifting, but not in a way that it wakes me up, on the contrary, it soothes my mind. I must sound crazy, but essential oils are more powerful and aromatherapy isn't just some random hocus pocus. This meltingly aromatic cleanser is suitable for all skin types, it's exquisitely soft and silky, rich but light, effective but never harsh. 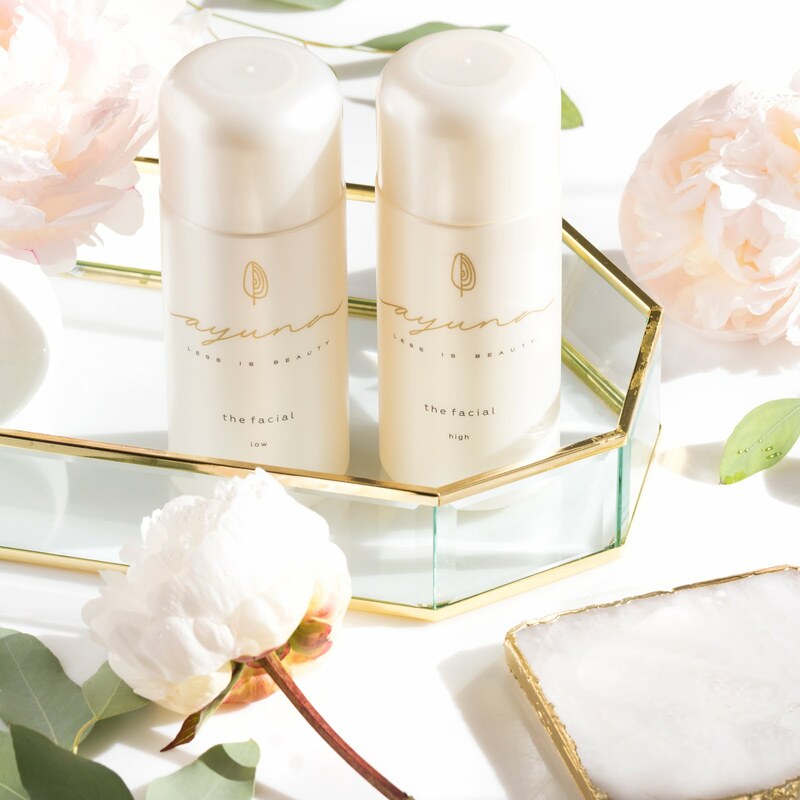 They say it deep-cleanse the complexion, leaving it satin-soft, glowing and calm. I completely agree with everything! I wish I could show you how it looks more properly, as you can see I took a while to review it so I only have enough left for two or three times. Sad times. I apply this soft and silky balm on my dry face and massage it into my skin for around a minute. I also used this balm for my gua sha massage, and that was so lovely! Now the balm is effective but sometimes I wish it would dissolve my mascara quicker, and easier. I actually prefer cleansing oils for removing my eye makeup anyways. In the end it does remove everything, especially with the help of a warm washcloth. My skin is left soft and calm. 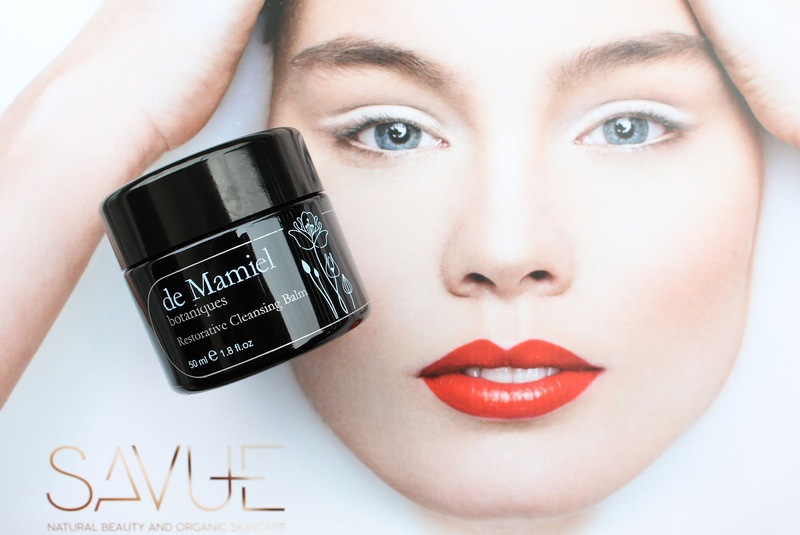 De Mamiel Restorative Cleansing Balm makes cleansing a skin soothing and nourishing ritual, taking away the day’s stress, and what is there not to love about it? I have to say that this cleanser is a dream to use and I'm so grateful I had a chance to try it out. If you want to try this beautiful baby, then now is the perfect time, since I have a Black Friday deal for you. 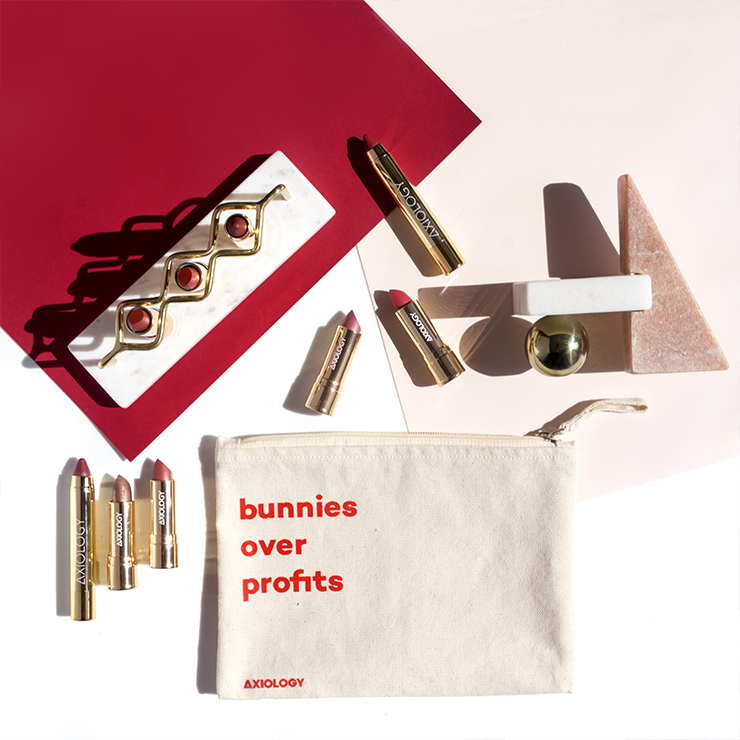 Use code "blackfriday" and get 30% off on one order at Savue Beauty (more info here). 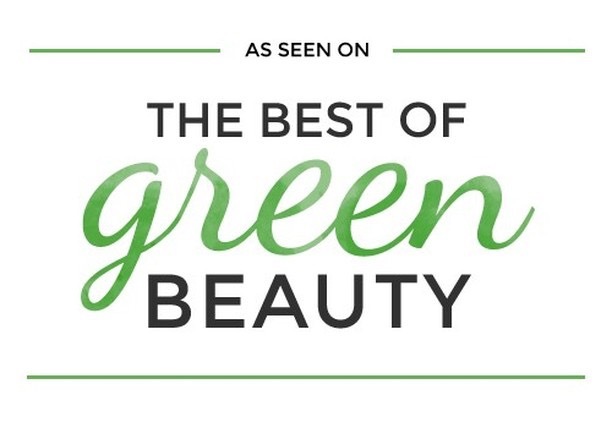 Oh and let me just quickly share one other deal - Earthwise Beauty also has a promotional offer - use code "BlackFriday" and get 20% off. 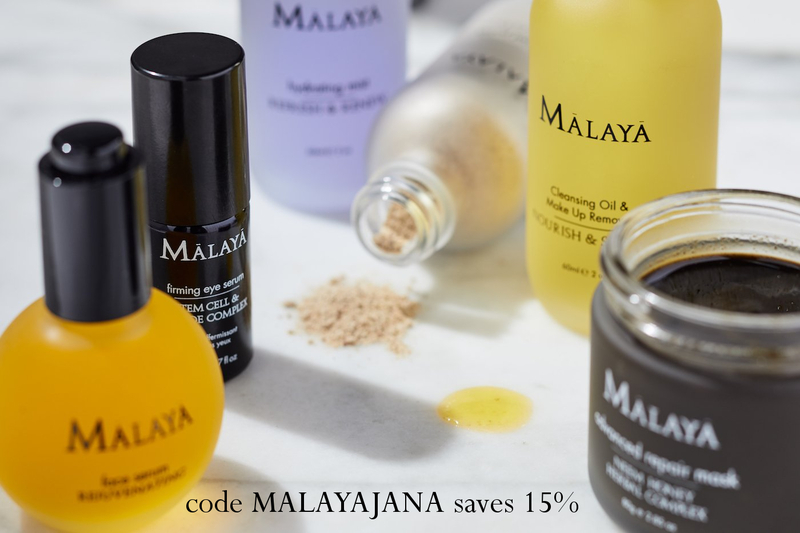 Plus I have to mention my girl Rayna, who will be donating 5% from every purchase on Reina Organics to support orphans and children with disabilities in Bulgaria (Rayna's home country). And now I'm off.